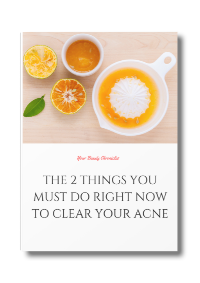 Getting rid of acne scars is the next problem to tackle after the acne has healed. 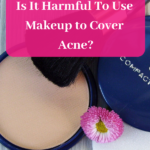 For some reason, this becomes an even bigger problem than acne, as the scars are not only surface scars which may be red or brown but some scars are indented and those are much more difficult to get rid of. These type of scars leave your skin looking bumpy. I personally have managed to get rid of the dark marks left behind by acne as well as the pigmentation. The indented marks have also reduced a lot but I attribute that more to the overall health of my skin, which has improved a lot. So today I am going to show you a two-step method of getting rid of scars. As with all my methods, I prefer to attack anything from the inside as well as the outside. This way your skin has the best chances of recovering from the scars. Let’s start with the outside first. You need to remove dead skin cells from your skin and also heal the damaged skin and restore it to the original colour and texture. Here is a face mask which has helped tremendously with both healing the acne and getting rid of scars. I know I sound like a broken record here as I keep repeating the same thing about honey, but believe me it works!! Mix all the above with clean fingers in a small glass jar. Leftovers can be stored at room temperature or in the fridge. I used to keep it on the counter top in my kitchen. It stayed perfectly fine for a week and more. Apply it on your freshly washed face. Leave it on for an hour or more. Now when you go to wash your face, wet your hands with water and gently exfoliate the areas which are acne free. Use your fingertips to feel the clear areas. DO NOT go overboard. Just gently run the cinnamon and nutmeg granules around so that the dead cells are removed. We are looking for fresh-faced here and not red-faced, so remember do not go overboard! 🙂 This helps remove dead cells and also helps with the indented scars. This mask will remove the dark marks left by acne as well as the pigmentation. Now as with anything natural please give this time to work. Apply it regularly for 2 weeks and you will start to see results. You can also use rosehip oil as a serum under your moisturiser. 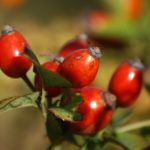 Rosehip oil helps in healing even old acne scars. You also need to use sunscreen when going out. Acne scars are most susceptible to sun damage. If not protected you could end up with pigmentation. So remember to slather on sunscreen anytime you go out into the sun. 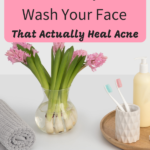 Especially so when you have acne or acne scars. Now let’s get working from the inside. As with everything diet plays a big role in improving the texture of your skin and helping it heal. The mask above will work to heal your scars much better if your body is helping it along. I have found that hydrating the skin well makes it look much better. Skin looks smoother and the redness, if you have any, is reduced. So increase the quantity of water you drink. If you have trouble believing this, try this as an experiment. On any one day drink at least 2 1/2 litres or 10 glasses of water. Water only and no sweet drinks. See how your skin looks the next day. Just one day is enough to see a difference! Also, foods rich in beta carotene like carrots, pumpkin, squash and green leafy vegetables are great in improving the overall look of your skin. The more intense the colour, the more beta carotene it has. Vitamin C in the form of food or even a supplement helps your scars heal faster and improves the overall look of your skin. It even prevents acne from forming. Enter your email below to get access to another mask that removes acne marks and helps brighten and even your skin tone!! if honey applied on face it will affects hair on face..
Hi Akash. No it won’t. Honey will just help your acne heal. 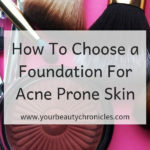 I read this useful Article, it includes imortant advices to get rid of ance scars, I need to mention that I have used Argan oil lately and it heled me to resolve all acne scars and skin issues. Using argan oil for acne is not really a new treatment. In fact, people have been using this for their acne scars has for hundreds of years. This is for the reason that argan oil is amazingly rich in natural tocopherols, usually known as Vitamin E. Vitamin E nourishes your sensitive skin and can reduce the appearance of scars as time goes by. The final results of argan oil on acne scars are much like those achieved by other scar treatments. Can it help with depressed/indented acne marks? Sadly no. For indented scars medical treatments are the only option that works. 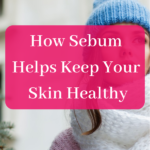 This is because the skin tissue of indented scars gets stuck to the layers beneath the skin and no amount of face masks will get rid of that. I read this post regarding the mask containing -honey, cinnamon powder,nutmeg powder,turmeric. Did it really help your acne scars/pits , any idea if it will help pores? Also how much time we need to apply and how long does it take to see results? This mask helped my flat acne scars. It took about 6 – 8 weeks of using it everyday for about an hour. Depending on your skin type it may take less time. Try it for a week and see the improvement in your skin. It did close up my pores as well. This mask will not help the indented scars (pits). For pits you can try regular exfoliation and a good diet with a Vitamin C supplement. What is the difference between flat acne scar and indented scar(pits)? Any reference will be helpful. Also, what works for exfoliation? Flat scar is basically a discoloration of the skin. The skin on the scar is on the same level as the skin surrounding it. In an indented scar the scar forms a pit or depression. The scar is lower than the skin surrounding it. I am not sure I am explaining it well so I tried to find pictures and posted links below which you can check out. I’ll try this but can u suggest what treatment I should look for if this doesn’t work? You can try pure aloe vera gel ( directly from the plant would be the best ). These treatments have to be used regularly for 2-3 months to see good results. Alternately you can try a chemical peel or 2 at a reputed skin clinic. Can I just use nutmeg tumeric and honey without the cinnamon. I have never had acne before unless the odd one but since May have been having ongoing acne and it has left scarring on my skin. Tried other methods including fillers earth clay. Thought I’ll give this a try as well. Yes, you can Rozana. Actually cinnamon is for acne while nutmeg is for scars in particular. You can leave out the cinnamon if you want, no problem. You can also try rosehip oil for scarring. Use a drop of it on your face at night. 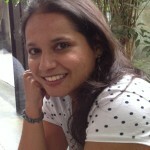 I have always believed that the answers to our health lie behind natural treatment methods. I agree with you, hydrating the skin often makes it look healthier. Drinking water is often something we might forget in our hectic every day life but it has literally hundreds of positive effects on our health. Vitamin rich fruits and vegetables: People having acne must exercise an increased love for fruits and vegetables, as they are rich in essential minerals and vitamins that are helpful for restoring the natural beauty of the skin. The juices contained in the fruits help to maintain the water balance in the body. 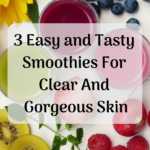 Thus a rich intake of fruits and vegetables is certainly a primary step towards getting a healthy looking skin. Intake of balanced diet: Just like any other disease, a large part of the healing process depends on the diet. A nutritious and a balanced diet is a must for ensuring a healthy and a glowing skin. A healthy diet also supplies all the essential nutrients necessary for fighting the infections that can complicate the acne scars. The application of Aloe vera gel on the scars also helps in getting rid of the acne scars. Tomato is also helpful for treating acne scars as it contains Vitamin A that controls the overproduction of sebum that is primarily responsible for causing acne scars. The antioxidant properties of tomato are also responsible for rejuvenating the damaged skin. 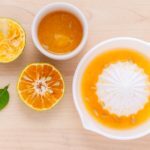 Other treatments for acne can include using honey, fullers’ earth, rubbing ice cubes over the infected area or even using rose water. 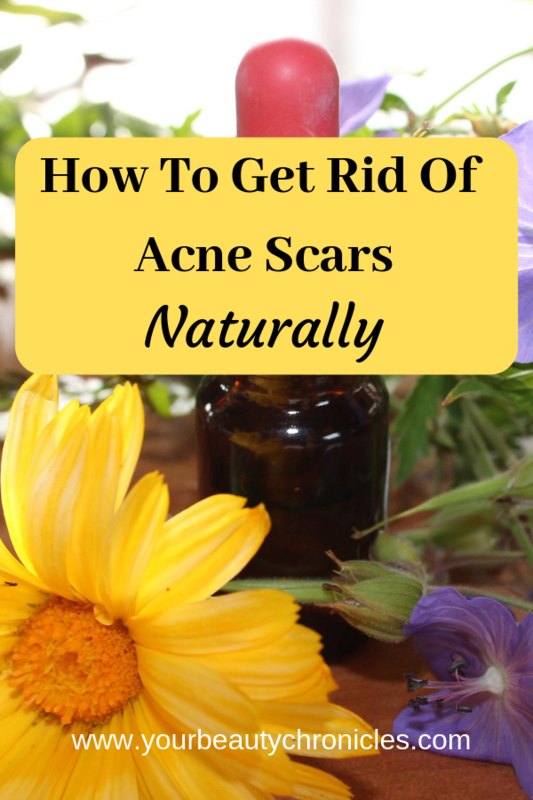 Following these natural remedies will certainly help you getting rid of acne.